Tainan was the first port to be developed in Taiwan and it was the national capital until 1887. Qing era Tainan was a maze of alleys and lanes. The Japanese era brought new roads which destroyed some older areas but also allowed for grander architecture. Most of Tainan’s larger historic sites date from this era while Qing era buildings exist within the large blocks. The road projects continued long into the KMT era, most notably with the disastrous Hai’an Road project. Like in many other cities a lot of interesting buildings were demolished or, like the Taiwan Bank Building, had their facades sliced off. Despite this it feels as though central Tainan retains a lot compared to many other cities. Until recently a lot of historic buildings were shuttered under sheet metal, or covered in flaky paint and bad modifications. But Tainan has started a huge restoration campaign focused on many government owned properties. The High Court and Police HQ were recently finished. I saw the Fire Station, West Gate Market, City Hall Extension, Martial Arts Hall, Prison dormitories, Weather Station, Train Station, several old schools, and many smaller sites undergoing anything from repairs to a full rebuild and restore. The Hayashi Department Store (also known as the Lin Store) was the anchor of a grand development along Zhongzheng Road. This was more cohesive at the Hayashi end but it extended in patches right up to Ximen Road. 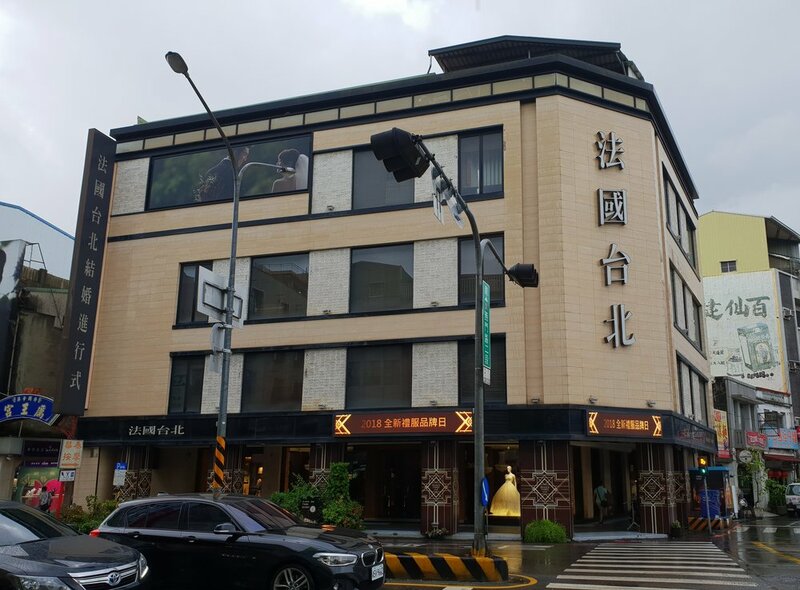 The Ximen end is anchored by this large corner store which previously housed the Tainan Industry and Commerce Association. 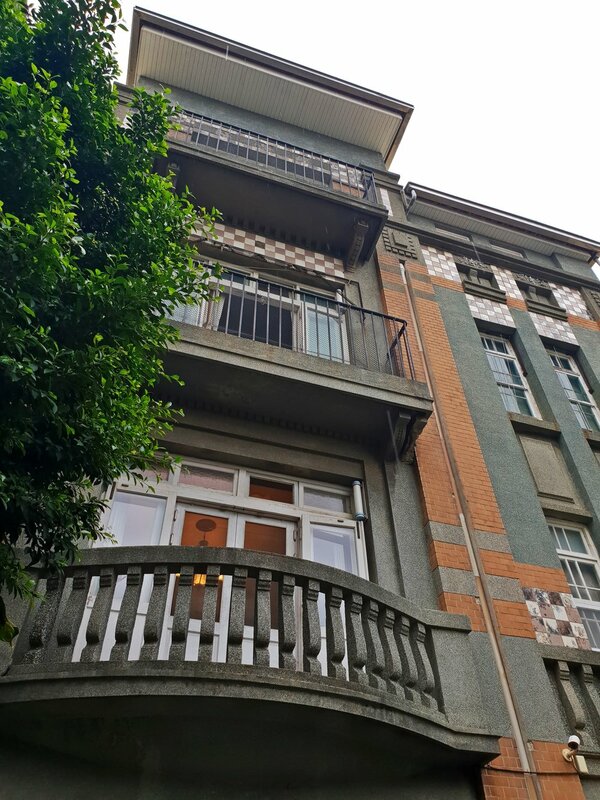 The entire street features the portholes and rounded column tops that seem to be a 1930's Tainan motif. Currently this building is hidden beneath an ugly metal casing for a watch store. 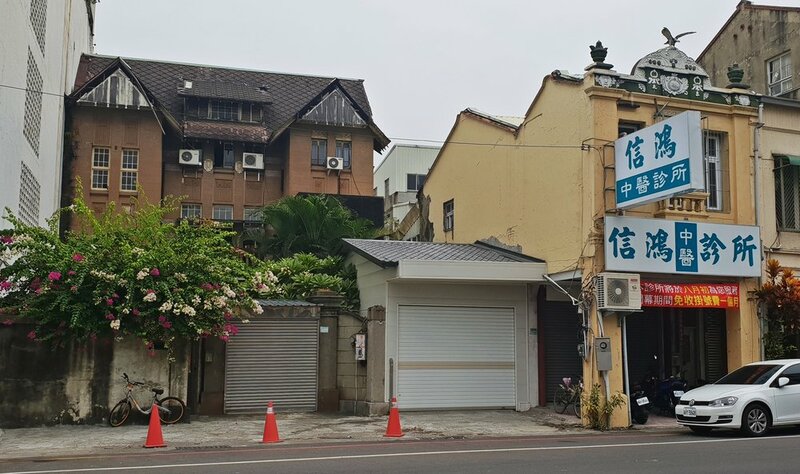 A picture in this article shows the building exists beneath the casing and indicates the tourism bureau is trying to persuade the owners to renovate. I don’t understand the mentality that leads to this. Further north there is a long row of austere shops with another large corner building. Originally I thought these were post-1945 but a photo from the Asahi Shimbun shows that they existed before then. The round corner windows and balconies are in the same style as the Hayashi store. The corner building is likely from the same time as the other large stores with the shophouse row being later. At the moment they are quite run down and the corner building is usually covered up but they should be easy to restore. This intersection is where the large west gate stood and it has a few other large pre-1945 buildings. On the opposite side of the street at the large traffic circle is Baomeilou (寶美樓 Beautiful Treasure Building). This was a really fine art deco structure with balconies and ornate brickwork. Sadly none of the facade remains and it's now a dull window display for a bridal shop. Around the side though a few details are visible. Baomeilou was a high class restaurant in the Japanese era. It it was run as a hostess establishment and was the most expensive place in town. These houses aren’t accessible but they are some of the largest historic private homes in Tainan. This was clearly one of the more affluent areas of the city, perhaps as it's nearer to the port. The markets, including the shell of the 1936 fish market, are nearby. The first house was built in 1920's and is known as the Weng Jin (翁金) Mansion. It's not easy to get a good picture as the walls are high. This was one of the first three floor buildings in the city. (There is actually a hidden 4th floor which was used to hide people during the 228 incident). The owner became wealthy through the salt industry and later iron and steel. This article has a video showing some of the interior. Worryingly this house has quite a few large cracks on parts of the facade. A newer building next door also partly cuts away the roof on the left leaving the house looking a little squished. House two is a large square mansion that seems well looked after. The name I've found for it is the Suzhao Tong House (蘇昭統宅). The only references I've seen for this house suggest it belonged to a mayor of the Central and Western Districts. House three is a few blocks away on Lane 46, Xinyi Street. It's a large plot with symmetrical shophouses flanking the main gate. The first building through the gate has a large pigeon coop on top. Behind it I could make out the gables of a larger mansion house. Though there's an air of abandonment this seems looked after. Nearby is a half ruined garment factory with a stocky 1930's head office. Despite Google Maps stating that it's open it is clearly not, and is guarded. I thought the house would be connected to the factory somehow but they are unrelated. I could not really find anymore information about this house and from the looks of things neither could Taiwanese bloggers. House four actually was not a house originally. 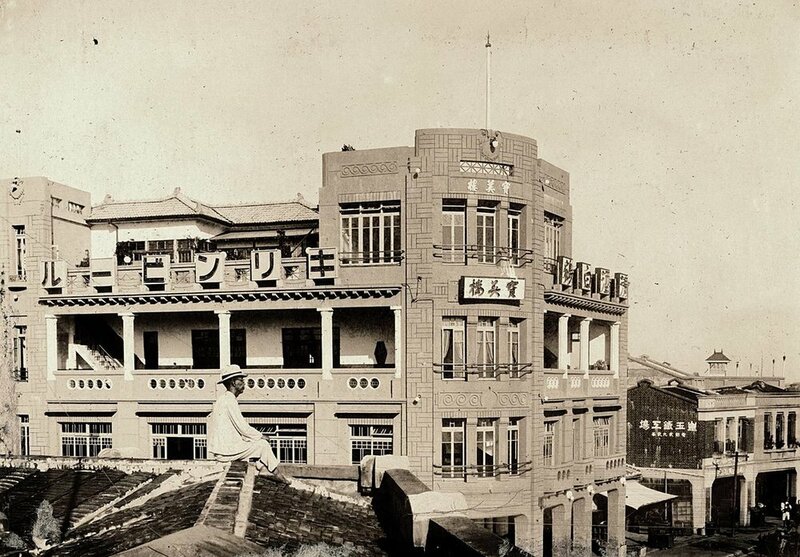 The Guangsheng Building (廣陞樓) was originally a restaurant when it opened in the 1920's. It seems it functioned much like nearby Baomeilou. This building is enormous and in quite good repair, though apparently the interior was replaced in 1968. It doesn't have a lane address but I have marked it on the map. Part 2 will follow soon. In the meantime these sites are listed on the Hidden Taiwan Map.